Innovate UK has launched its latest Innovation Loans Competition offering up to £10 million in loans to startups and SME's (small and medium size enterprises). 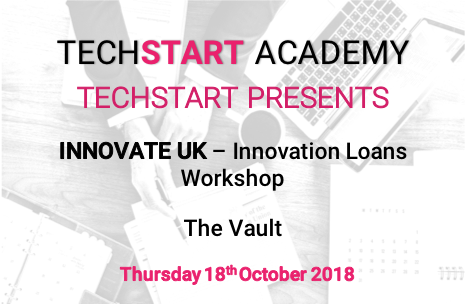 Join us and Innovate UK to gain insight knowledge and valuable tips for applying to this current Innovation Loans competition. If you are currently on the research and development stage towards commercialisation this funding could be the next step for you! Register today to guarantee your space.